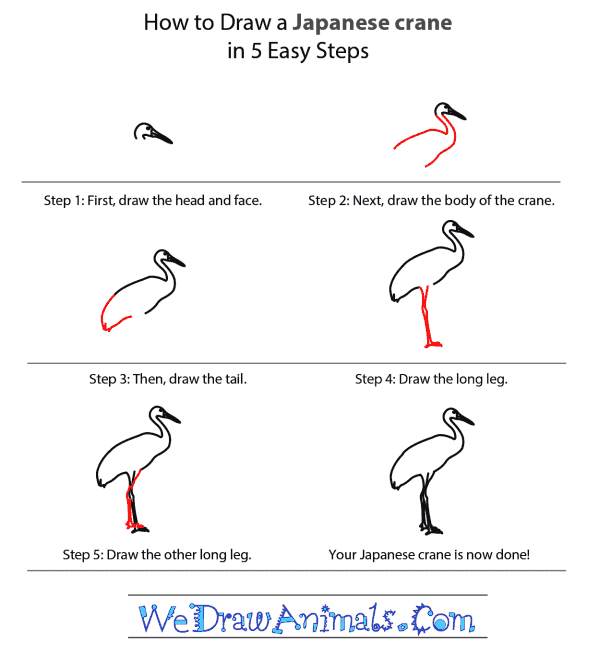 In this quick tutorial you'll learn how to draw a Japanese Crane in 5 easy steps - great for kids and novice artists. 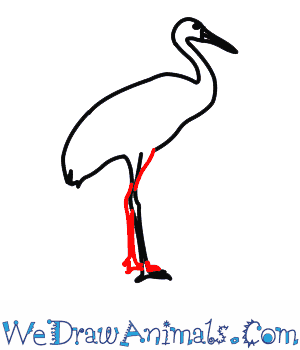 At the bottom you can read some interesting facts about the Japanese Crane. 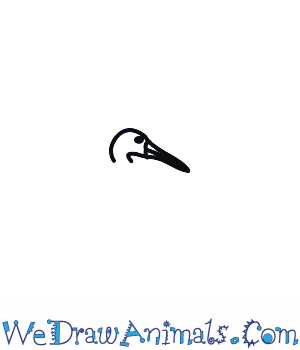 Step 1: Draw the face, adding the eye and the beak. 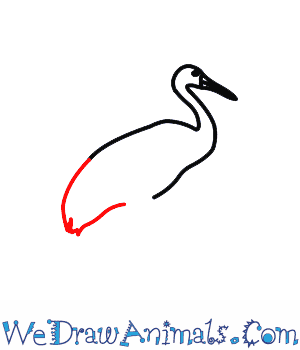 Step 5: Draw the second leg, which is the same as the first. Also known as the red-crowned crane, the Japanese Crane is the most aquatic of any crane species foraging for food in deep water. 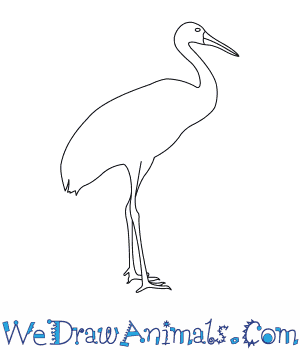 They are the second rarest crane species in the world, they are considered endangered by the IUCN. Japanese cranes are mostly white with a black feathers on their ends, black necks, and around their eyes they also have a red spot on the top of their head. The Japanese Crane is a sacred symbol in much of Asia and is seen as a sign of good luck, longevity, and fidelity. 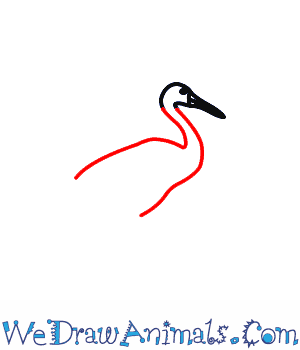 The red spot on the Japanese Cranes head becomes brighter during the mating season. Japanese Cranes mate for life, performing an elaborate courtship to reinforce their bond. Japanese Cranes have one of the largest wingspans of any crane at 2.5m. Japanese Cranes are the heaviest of all crane species weighing up to 33lb (15kg). Lesson plan note: Japanese Cranes are an important part of Asian artwork. 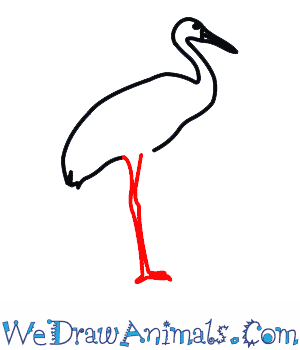 Have students join that tradition by creating their own artwork focused on the Japanese Crane. Allow them to work in any medium they like and compare to traditional Asian artwork.